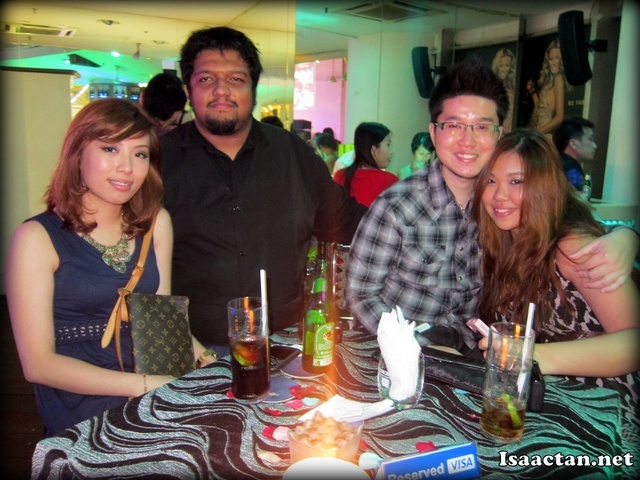 It was a night of music with friends over at 7atenine Kuala Lumpur tonight. 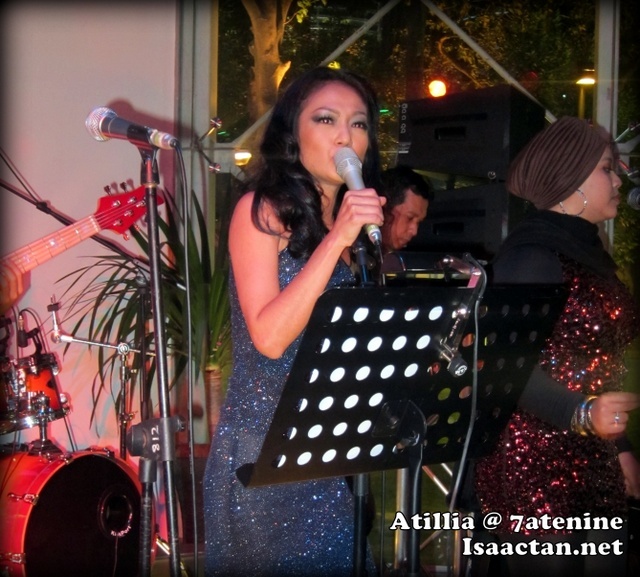 Thanks to ChurpChurp, a few of us got to experience the second installment of "Sessions with Heineken at 7atenine" featuring the new lady of Malaysian Jazz, Atilia. It was a good performance by Atilia where she focused her repertoire on Motown classics backed by a 4 piece band with 2 back up vocalists. Reaching 7atenine Ascott Kuala Lumpur at around 8pm, I was rather glad to see some of the Churpers already there. It was going to be a mini ChurpOut session with fellow friends, a session which I truly enjoyed. On top of being served with Heineken beers, nice pizzas, and food, I was able to catch the performance of Atilia who sang beautifully that night. Atilia performing to the crowd during the "Sessions with Heineken at 7atenine"
As the night progressed on, the crowd grew bigger, and food was served. 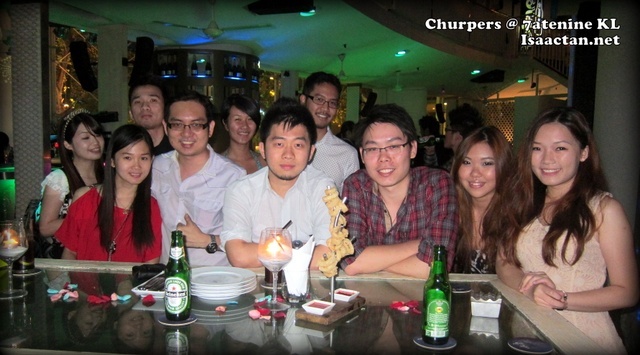 I caught up with fellow Churpies and Churpers having a great chill out session over some good pizzas. 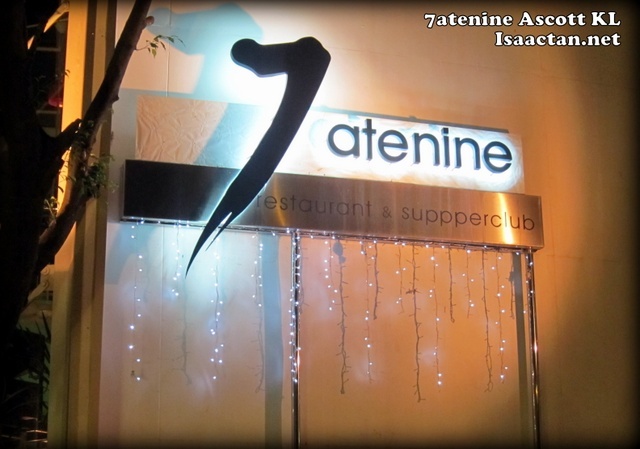 It was good to have these gatherings at 7atenine as I was told the place was where KL socialites love to hang out. 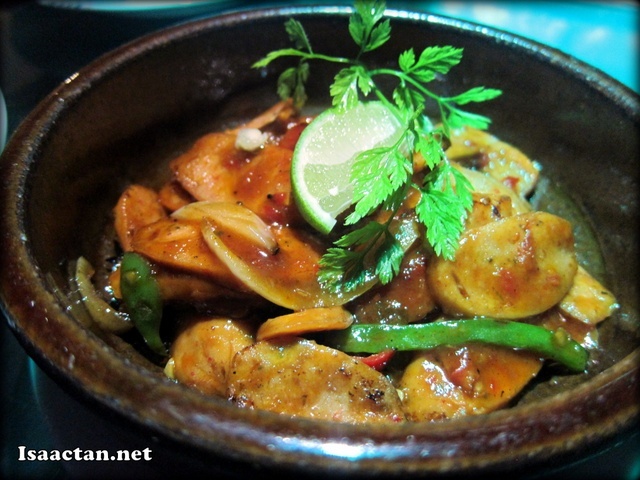 Do check out what we had that evening. 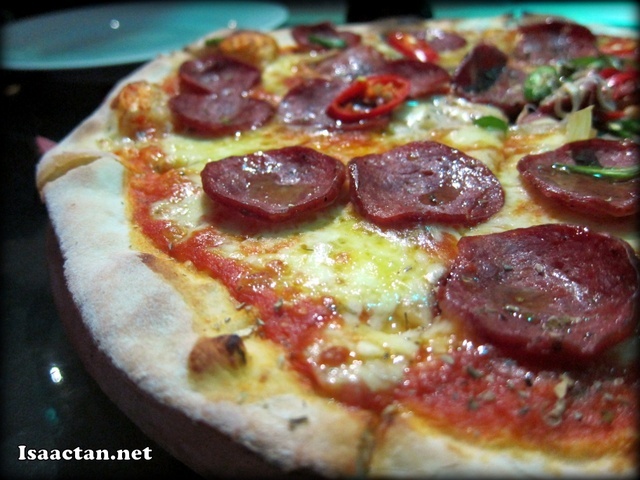 The pizzas were served straight from the kitchen, freshly made and still smoking hot. 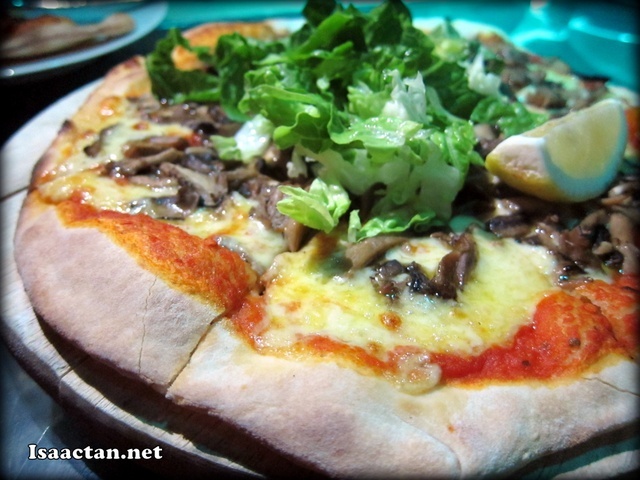 It was good that the pizzas were served fresh and hot as the cheese literally melted in our mouth. My preference would be on the beef pepperoni pizza while Janice and some other Churpers mentioned they liked the Mushroom Pizza. It was good. 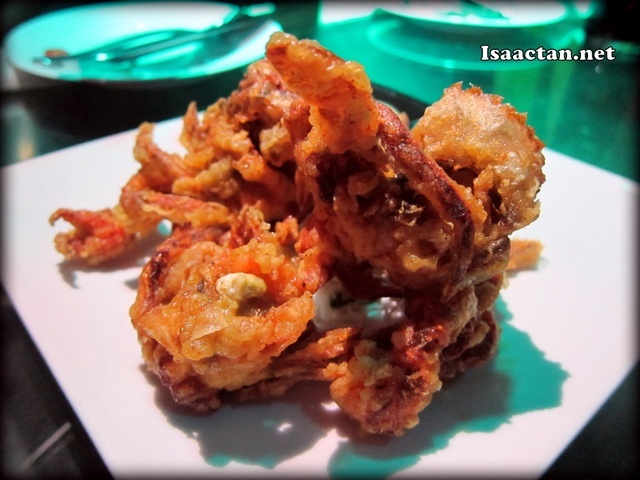 We had various fried stuffs, I would say finger foods throughout the night which fitted perfectly with the mood. The chicken wings, soft shell crabs and sliced sausages in BBQ sauce were crowd favourites where extra plates servings were brought out. Yes, we cleaned up the plates really fast. 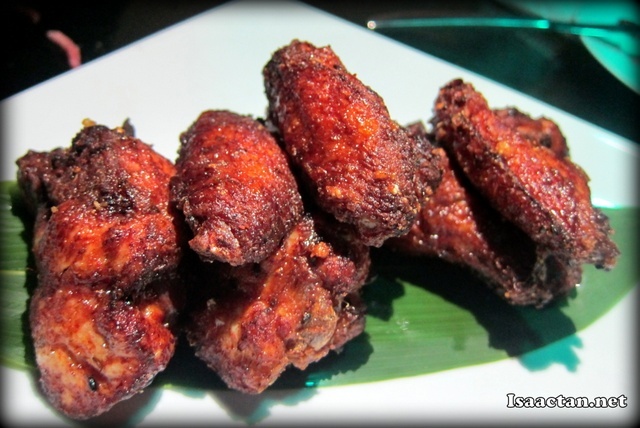 The sausages doused in BBQ sauce added a nice variety to a night of fried stuff. 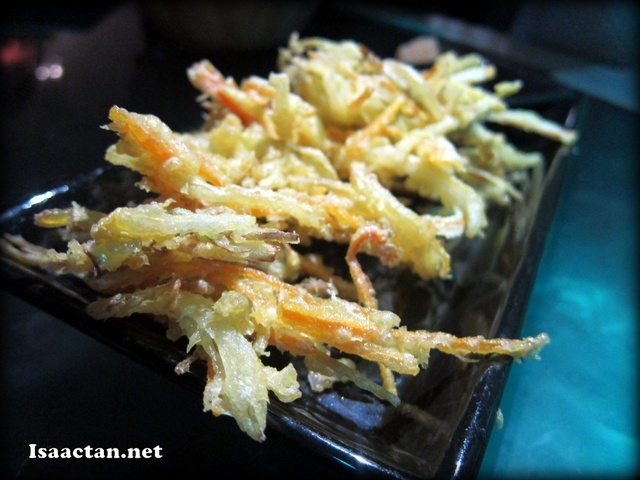 As for the mixed vegetables tempura, it was rather good, slightly too oily for my liking though. Good company for the night! 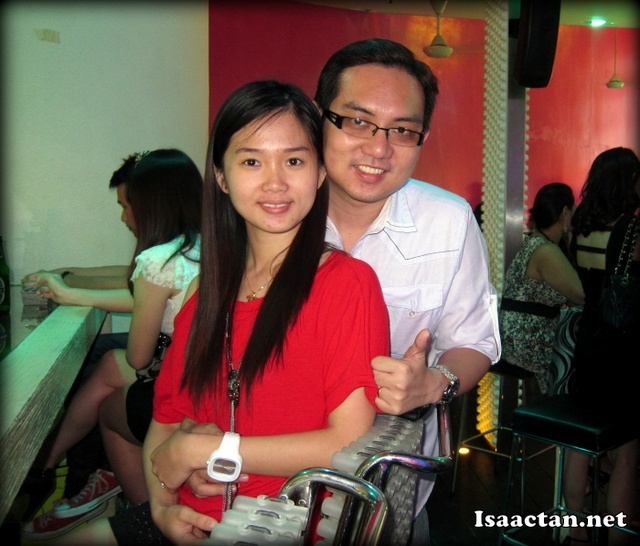 It was a great mini ChurpOut event to relax and chat with friends. Doing it over these food and Heineken beer while listening to the wonderful Atila sing made the experience way better. 7atenine definately fits the description of being this iconic lifestyle destination for a chic experience. 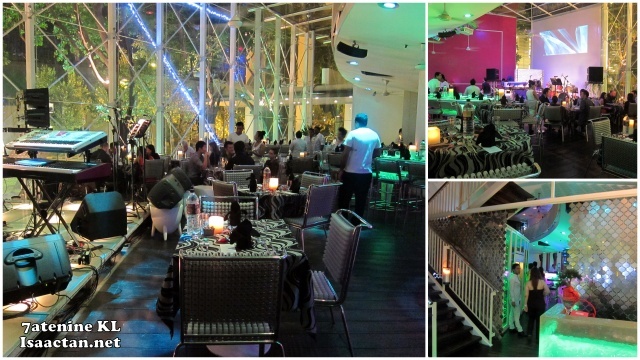 Located just a stone's throw away from KLCC, it's no wonder 7atenine was packed at night with KLites looking for a place to chillout. Nice place! Is her singing good? It's a pretty nice place, kind of happening and all. Atilia's singing was really good actually. She sang some Carpenters songs as well, one which I particularly remembered. "Hey my postman.."
Motown classics? Ooooooo....I like! The Carpenters...ummmm...ok lah!! And btw, It's "Please, Mr. Postman" (The Beatles' original). I prefer Filipinos, better rapport with the crowd... Food looks ok.
Never knew there's this churpout event (: It sure is a good night with good food and great company! Ooooo.... the pizza looks really good. I'm the kind of person who could never resist a good pizza. Glad you had fun that night. Good food, great company, wonderful music, what else can you ask for? LOL! Yummy food! I have not heard Atilia sang live before.